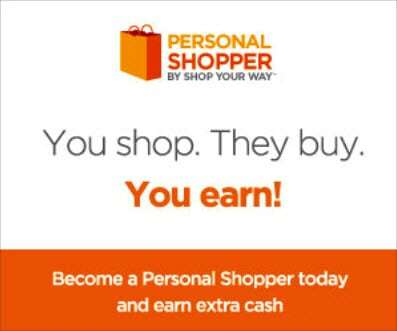 Home » Looking Good » shopping » This Personal Shopper Program Saves Time and Makes you Money! This Personal Shopper Program Saves Time and Makes you Money! This personal shopper program post has been sponsored. I am a Sears blogger, though all opinions are my own. Is your home or technology device stuck in the ‘90s? If this sounds like you, you don’t need a time machine, you need a Personal Shopper. Shop Your Way Members at Sears and Kmart have access to personal shopping experts in the fields of technology, interior design, fashion and more. These shopping experts know Kmart and Sears brands and go above and beyond to please. I know what you’re thinking, “A time machine would probably be cheaper!” Stop right there. Our Personal Shoppers are FREE! Sit back and let someone with the know-how do the research and comparing for you, and you’ll be up to date in no time. Wouldn’t You Like a Personal Shopper? There are a dozen reasons why I would love to have a personal shopper. As a busy mom I find it hard enough to finish the laundry and get the kids fed some days. Who has time to go out looking for the perfect dress for an office party you have no choice but to attend? Maybe I’m sick (like with this dreaded sinus infection I have right now!) but I still have to find just the right present for my teenager’s birthday. Instead of wandering around miserable I could let my personal shopper handle the tough stuff while I sleep off those cold meds in my nice warm bed! If you’re on the opposing side of the scenario above, have you considered becoming a Personal Shopper? They are always looking for shopping specialists to help advise customers on quality purchase decisions. The best part is you can put your hard earned skills to work and make some extra dough. Yes, you can actually get PAID to spend some time shopping! Sounds pretty good, right? You’ll earn commission on every qualifying purchase your friends and family make at Sears, Kmart or Lands’ End. That’s extra cash that you can use to upgrade your tech device or pay towards your Layaway. With the holiday’s coming we can all use a few more pennies in the bank right about now! Do you need a little bit of extra time? Or would you like to make a little bit of money this holiday season? You can sign up here to become a Shop Your Way #PersonalShopper! Hmmm this sounds interesting. I will look further into this shopper program. I would like to get my daughter to sign up as my personal shopper. She never does me wrong! That sounds like a perfect job for someone who loves to shop :) Thanks for sharing! What a great service for busy moms. thanks for sharing! 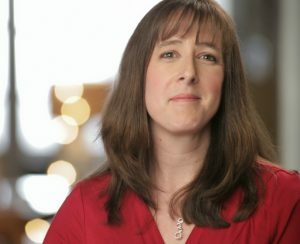 im signed up for this program and love it!